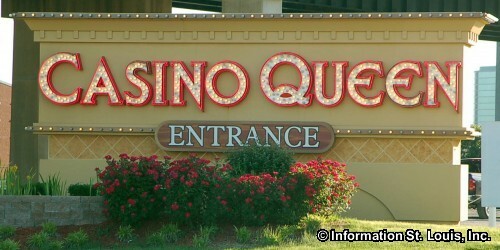 On the other side of the river from downtown St. Louis, the Casino Queen offers a host of gaming, dining, and entertainment options. 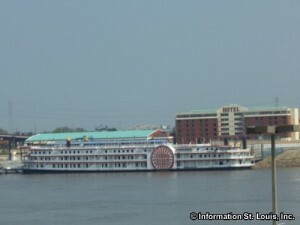 The casino's location across from the Gateway Arch provides a spectacular view of the Arch and the St. Louis skyline. 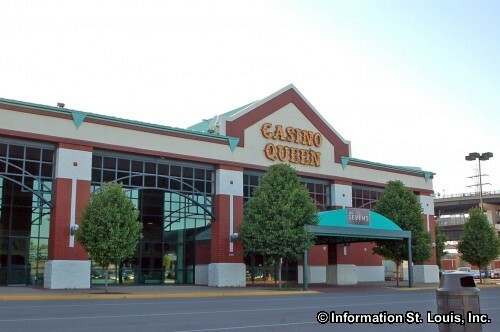 In addition to a full-service hotel, the Casino Queen has more than 38,000 square feet of casino gaming space and features more than 1,000 of the most popular slot and video poker machines. 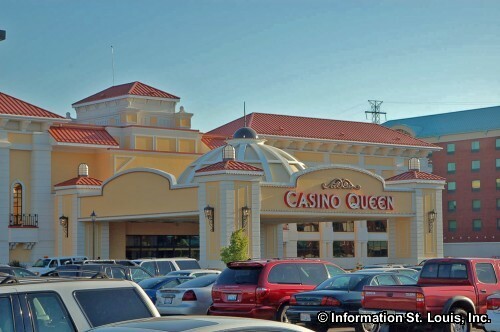 The facility claims to have the most liberal slot payouts and was rated by one Las Vegas newsletter as one of the top 10 casinos in the United States "where you're most likely to win." 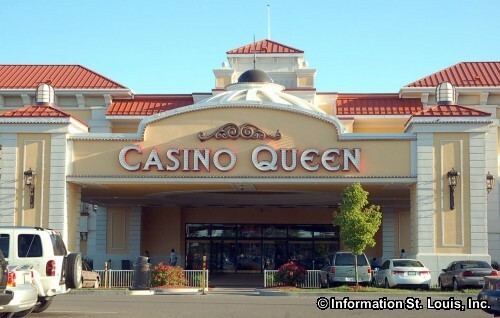 Those who prefer more interactive activities have plenty to keep them occupied as well, as the Queen offers high-stakes wagering with table limits from $2 to $2,000 on games like blackjack, craps, roulette, Caribbean stud, Pai Gow Poker, and 3 Card Poker. 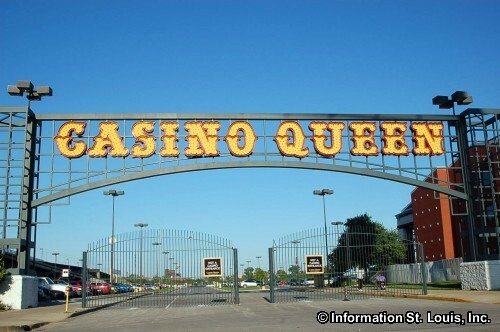 Five different restaurants are located on the Queen: Prime Steakhouse, Market Street Buffet, Gateway Cafe, Java Junction, and Deli and Chips. The Casino Queen operates 22 hours a day, 7 days a week, and there is free admission, free parking, free downtown St. Louis shuttles, direct access to Metrolink and no buy-in or wagering limits. 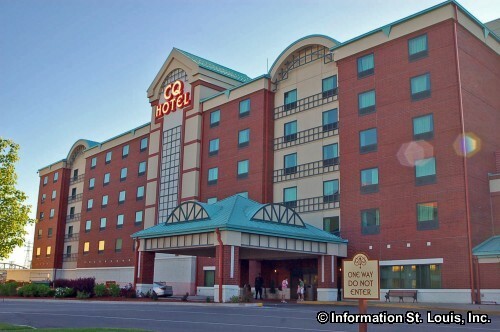 There's also a full-service RV park on the property that features pull-through sites, full hookups, and 24-hour security.